*This post is sponsored by Papa Murphy’s. As a member of the Papa Murphy’s Moms Panel, I receive free product and information to facilitate my posts. All opinions are my own. Several weeks ago, I had the opportunity to tour a local Portland Papa Murphy’s. 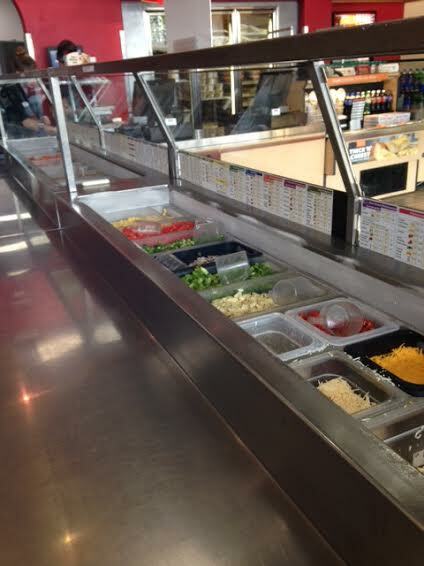 We got to sample new menu items, go behind the counter, and see how daily operations work. After a close-up look at this company, I can say how proud I am to be a Papa Murphy’s Mom. I wanted to share ten fun things you might not know about my favorite take and bake pizza chain. 1. You can completely customize your pizza. Want to divide your pizza into quarters? No problem. Want half with no sauce or no cheese? Sure. Want to keep some of the toppings on the side? Just ask. Papa Murphy’s is willing to work with any and all requests, and give you exactly the pizza you want. 2. Papa Murphy’s now offers gluten-free crust! Papa Murphy’s has teamed up with Udi’s to offer their customers a gluten-free option. The crust is available in a medium size, and will cost the customer an additional $2. 3. Papa Murphy’s is FRESH! Recently, I had the opportunity to go behind the counter at a local Papa Murphy’s location. 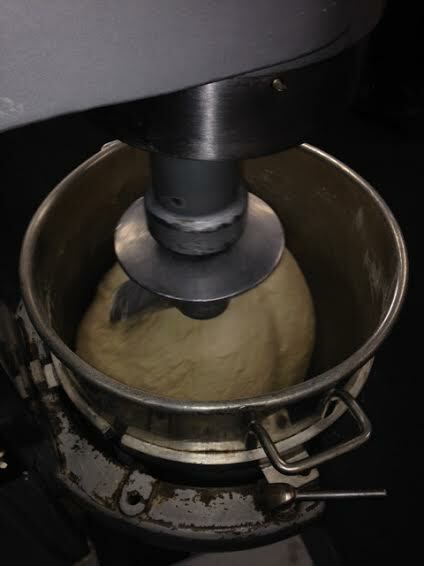 I was pleasantly surprised to learn that all of their dough is fresh made in-house daily. The cheese is freshly grated every morning. Fresh vegetables are chopped on site each day. This is FRESH (and tasty!) pizza! Pink Sauce is what you might call a “secret menu” item. Pink sauce is a combination of Papa Murphy’s red and white sauces. It is delicious. I love the flavor. The next time you order pizza, ask for pink! In addition to the cheesy bread we’ve come to know and love, Papa Murphy’s is now offering a NEW cheesy bread. This cheesy bread comes in a rectangular pan, is baked on the new Fresh Pan crust, and comes loaded with cheese. 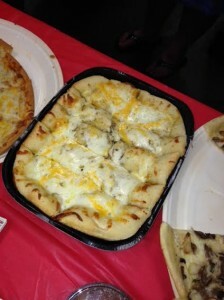 I got to sample this new cheesy bread and LOVED it! Did you know Papa Murphy’s has dessert? You can choose from three different options. 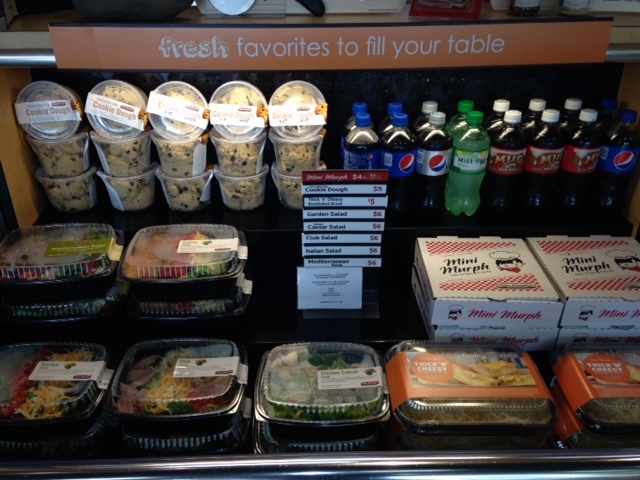 Choose from chocolate chip cookie dough, the cinnamon wheel, or my personal favorite, the s’mores pizza. In the mood for a more “grown-up” pizza? Have a particularly picky child who will only eat cheese pizza? Want to treat your kiddo to something special? Check out the Mini Murphs! A Mini Murph is a personal pizza kit made just for kids. Your child gets to add their own sauce, cheese, and pepperoni. These are fun treats for kids and something different than the traditional kid’s meal. Papa Murphy’s is now offering a “Gourmet Delite” line. Experience “grown-up” toppings like angus steak and spicy fennel sausage. Papa Murphy’s is so much more than pepperoni and Canadian bacon. 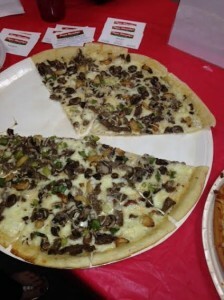 I was able to try the new Angus Steak & Roasted Garlic pizza and loved it! Don’t forget – you can also get your pizza stuffed! Not only do I love a great pizza, but I also love a bargain! Papa Murphy’s frequently makes coupons available to their customers. Coupons are wonderful and an easy way to save on already affordable meal. But did you know that Papa Murphy’s coupons NEVER expire? Not ever. (A Papa Murphy’s manager recently joked with me, telling me to hold onto my coupons for ten years, so I can really get a value should prices increase!) Still hanging onto some pizza coupons from the 90’s? Bring them in! What is YOUR favorite Papa Murphy’s pizza? Do you have a standard order? Leave me a comment and let me know! What a fun experience. I love Papa Murphy’s! Me too! It was tons of fun to step behind the counter. Thanks for stopping by! I have a question , why do the nutritional charts differ so much between the USA and Canadian charts? Hello my name is kaity conner. I work at a papa murphys for about 2-3 years now. We have had a lot of complaints about that. But for it not to be a disappointment ask for LESS creamy garlic sauce, and don’t add the roasted garlic, because the creamy garlic sauce is like a garlic alfredo sauce with a hint of ranch. I say get it in the original crust large which will be $13.98 for the pizza(includes the tax) we have coupons we can give you in the store for 2 dollars off so it should be 11.83 if im not mistaken. you can substitute the garlic with something you like. if you substitute something so take the garlic off get something extra or say you want spinach on it then it wont cost you anything extra as long as you substitute. The Scratch-made 5-cheese bread at Papa’s only has 4 cheeses.